← What is a Periaktoi anyway? 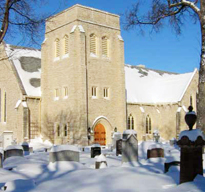 Sunday Feb 6, 12:30 p.m.
Sunday Feb 13, 12:30 p.m.
Sunday Feb 27, 12:30 p.m.
Sunday Mar 6, 12:30 p.m.
We ask that all annual reports be given to Shirley in the Cathedral office by Tuesday, February 8th! January 23-30, 2011 – Please see the poster on the periaktoi for details of services held daily throughout Winnipeg. The first of the city-wide ecumenical worship services takes place this evening at 7:30 p.m. at St. Joseph’s Ukrainian Catholic Church, 250 Jefferson Ave. The February – April issue of the daily devotional booklet, Forward Day by Day, is now available on the literature rack in the tower entrance. You are welcome to pick up a copy of either the regular or the large print edition.